My wife Donna and I just returned from a 3-week bucket-list kind of trip. 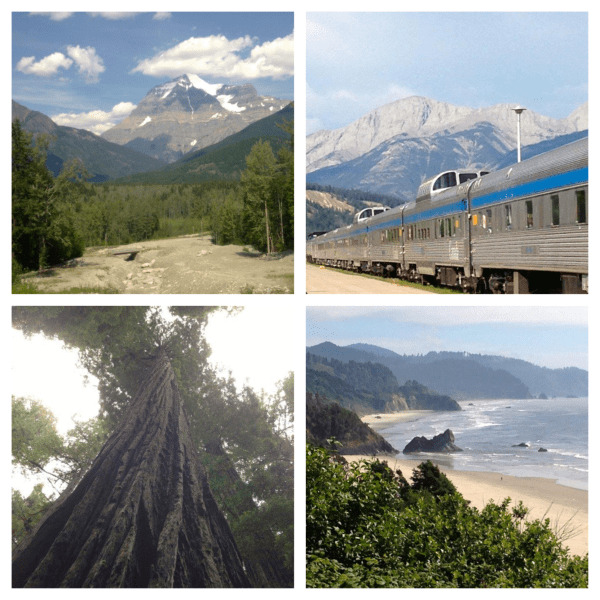 We met up with Donna’s parents and took the train from Toronto, Ontario, across Canada to Vancouver, British Columbia. It was a beautiful trip filled with awesome scenery, relaxed visiting, and first class meals. I mention this here in the RBB blog for two reasons. First, that one of the unfortunate hallmarks of a large percentage of small businesses is that the owners don’t get away like this. Either they wrongly think the business would fail without them or they are so intimately involved with every transaction that they may be right. This blog is dedicated to helping electronics companies and job shops in general to achieve excellence. On the heels of vacation it occurs to me that an important reason to continuously improve is to allow the chief executive to leave town with confidence! It builds the competency and independence of the senior leaders; it recharges the exec; and it even accomplishes some much needed separation between the leader and the day-to-day operation. Wow, did we look good. Our open house event was held on Friday, August 16th. The office and shop looked fabulous; we normally show well but man, we looked extraordinarily pristine and clearly proud of our facility. Yet appearances were just the beginning! 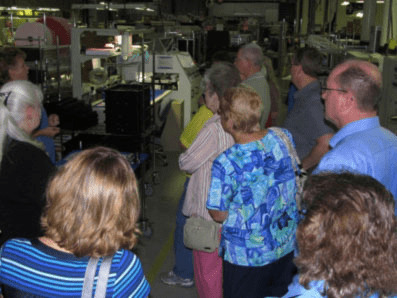 88 people came through the employee-led tours to wish us well and mark our 40th anniversary. Most every guest gave the highest praise for our people. I heard most often about our knowledge, confidence, enthusiasm, humor, and the obvious excitement about what we are doing. It was an honor to hear what a great team we have. The best part was how RBB-ers swarmed the party preparations like everything else we do. 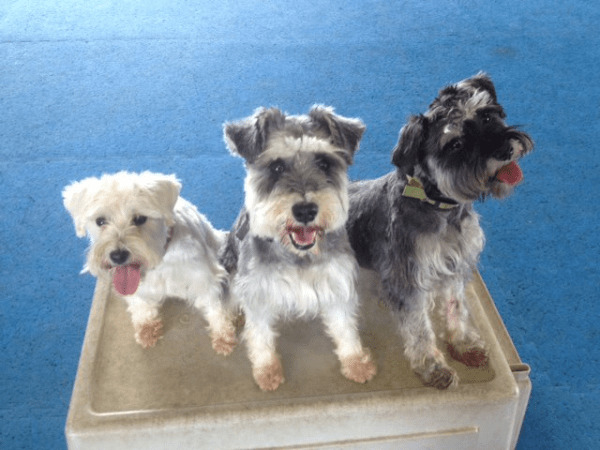 While we were away, we boarded our three miniature schnauzers at a dog training school. Overall they are good dogs but since we live out in the country and away from other pets, they’ve developed some bad social behaviors. This is just a nice way of saying they are out of control! The school sent us videos of our dogs making progress. They seemed a little confused but generally happy and wanting to please. Each of the dogs was learning new ways to behave, with new commands, rewards, and triggers of importance. Since we’ve been home we’ve had to attend more lessons to make sure the changes take hold. With apologies here (employees are not dogs – I know), this has actually been a good reminder to look at our long term employees with some new eyes as well. Sometimes an otherwise great employee can develop some pretty unhelpful habits. But with some targeted retraining, with higher and consistent expectations, and by rewarding (only) the new behaviors appropriately, any one of us “old dogs” can change. Of course our schnauzers had no choice in the matter; we decided that they must begin to act differently. But we humans must make that decision for ourselves. And it starts, as always, by admitting that we have things to learn. What bad habit of your own has your environment tolerated or even encouraged? Is it time to get rid of it?